Federal Polytechnic, Ilaro Higher National Diploma (Full Time) 1st, 2nd, 3rd and 4th Batch Admission List for 2018/2019 Academic Session Successfully Uploaded Online, [Download in PDF]. 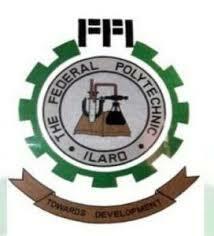 The Management of the Federal Polytechnic, Ilaro has successfully released and uploaded the names/list of candidates admitted into the various Full Time Higher National Diploma programmes for the 2018/2019 academic session. The list has been successfully uploaded and can be downloaded in PDF. THURSDAY DEPARTMENTS INTERVIEW INCLUDE: Accountancy, Food Technology, Electrical, Public Admin, Marketing, Business Admin………..
FRIDAY DEPARTMENTS INTERVIEW INCLUDE: Banking, Computer Eng, SLT, Civil, Mechanical, Computer Science…………..
All Admitted candidates are to proceed with the payment of acceptance fees immediately.